Paoli Village Shoppes will fill two vacancies this spring. SkinnyPizza, a New York-Style pizza shop, and Edible Arrangements will become our newest neighbors! 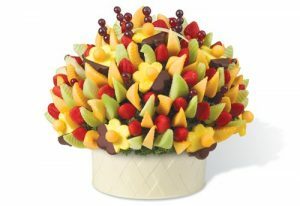 Edible Arrangements creates beautiful fresh fruit arrangements that feature gourmet chocolate-dipped fruits. The arrangements make great gifts and are a healthy way to add a colorful touch to a party. In addition to beautiful fruit center pieces, Edible Arrangements is also a delicious smoothie and froyo spot. The 100% fresh fruit smoothies are made to order, and chocolate dipped fruit pops and fruit salads are delicious choices. In addition to beautiful fruit center pieces, Edible Arrangements is also a delicious smoothie and froyo spot. The 100% fresh fruit smoothies are made to order, and chocolate dipped fruit pops and fruit salads are delicious choices.